Raised in a small farming community in central Iowa, Shelly credits her grandparents with inspiring her life’s work in natural resources with their example of conservation leadership in their community. Shelly attended Colorado State University where she earned a B.S. in Environmental Interpretation and completed her internship in Rocky Mountain National Park. After college, she served as a volunteer environmental and ecotourism educator in the rainforests of Costa Rica. She went on to Iowa State University, where she studied sustainable agriculture and earned a M.S. degree in Agronomy and Rural Sociology, while helping launch one of the first community supported agriculture projects in Iowa. She worked with Practical Farmers of Iowa and Iowa State University Extension on several sustainable agriculture and natural resource education projects. The call of wilderness and sustainable fishing brought her to Alaska, where for she worked for the Kenai Watershed Forum and also helped harvest wild salmon at her family fishing camp for many summers. She now lives in Viroqua, where she enjoys sharing the wonders of the Driftless with her two boys. Contact Shelly. Matt Emslie grew up in upstate New York before attending university in New Hampshire. He finished with an undergraduate degree in biochemistry and a master’s degree in education. After several years working in the northeast with several different outdoor and environmental education programs, including Outward Bound, he moved in 1999 to a remote area in Alaska to teach school in a small Inupiat village and live remotely. After leaving teaching, he has primarily homesteaded for the past 15 years relying only on dog teams for transportation 8 months out of the year. During that time, he worked seasonally as a wilderness guide for a company that specializes in remote, expedition-based, dog sled tours, taking people out in the wilderness for weeks at a time. For two years, Matt and his wife Julie, served in the US Peace Corps focusing on community development, youth leadership, and farm development in the remote hills of inland Jamaica. He and Julie moved to Viroqua last spring with their two (soon to be three) small children, Wyatt and Esme. Matt is currently in the final stages of finishing a master’s degree in Natural Resources Management with a focus on Watershed Management through the University of Alaska at Fairbanks. He is studying the ability of riparian buffer zones to mitigate the effects of excess nutrient runoff in agricultural landscapes. Contact Matt. Dave grew up on a small farm in Spring Green, Wisconsin, just an hour east of Viroqua. After earning a BS in Engineering from the University of Minnesota, he went into the US Air Force. He earned an MBA from Wright State University, and after leaving the USAF lived in Sweden for a year while working at SAAB Aircraft. He stayed in the Aerospace field for over 30 years in marketing, purchasing, program management and business development, all the while enjoying outdoor activities like camping, canoeing, bicycling, bird watching, geology, fishing and gardening. He earned his Minnesota Master Naturalist certification and participated in many citizen science projects. He and his wife moved to Viroqua in 2016. Contact Dave. Jerry is a sixth-generation Vernon County native. He was born and raised in Genoa, Wisconsin, where he lives with Connie, his wife of 25 years, and their son Stephen, a student at Aquinas High School. The family home offers a view of the Mississippi River and the bluffs of Minnesota. (However, Jerry is a Packer fan!) Jerry has been in bookkeeping for over 30 years. 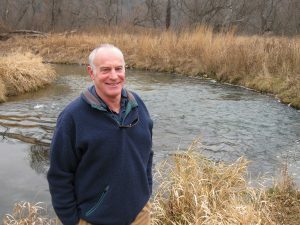 In addition to VSN, he works with our Conservation Connections office mates, The Prairie Enthusiasts and Kickapoo Woods Cooperative. He also serves as Clerk for the Towns of Genoa and Wheatland and is co-owner of the Kwik Stop in Genoa. When Jerry isn’t working (which obviously is not very often!) he spends time outdoors and likes to ride his motorcycle to faraway places. Not one to rest on his laurels, Jerry says, “Every day that I don’t learn something new is a day wasted.” Contact Jerry. Kris brings to the Valley Stewardship Network an education in Liberal Arts, Political Science and a MS in Environmental Management, with an emphasis in sustainability. Her experience and interests sit at the intersection of those areas and are inspired by a strong sense of community, equality, and collaboration. She has long believed that concern for the environment and business are not mutually exclusive. Born and raised in Michigan, Kris now lives in Viroqua with her husband, Eric, and son, Odin. With one short visit prior to moving here, they knew that this was a special place – recognizing instantly that the Driftless Region is a rare, rare treasure. Kris was particularly struck by its natural, spiritual, and cultural beauty and the energy that comes from people committed to their deep history with this land, making a difference, and preserving what is valued. Contact Kris. Tom fell in love with the Driftless area of southwest Wisconsin as a student at Saint Olaf in the 1970’s. Upon retiring from a successful horticulture career in Monterey Bay, California, he settled on 90 acres on the West Fork of the Kickapoo River. On this property, Tom and his partner have created Nature Nooks Retreat with a focus on land stewardship. They and their guests practice a variety of stewardship activities, including prairie restoration; permaculture orchard development; non-game riparian habitat for turtles, snakes, trout, amphibians and birds; invasive species management; and educational programming. Tom’s dream of creating an outdoor environmental classroom on his property is perfectly aligned with the education objectives of Valley Stewardship Network, and he has generously shared his property, resources, and facilities with our organization’s workshop participants, members, and volunteers. 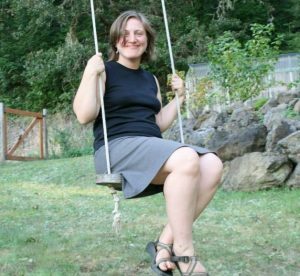 Having lived in the Kickapoo watershed since 2008, Nicole expresses a deep sense of gratitude for being able to raise her family in a rural community that’s surrounded by the beauty of forests, rivers and streams. She enjoys cooking delicious foods produced by our area’s small family farms. She is also concerned about the threats to our clean water, erosion of our soil, and the loss of productive and well-managed forests. Through her work at Organic Valley, her education in Earth Literacy and Community Leadership and Development, Nicole has a deepened understanding of our interdependency with nature and the power of cooperation. We are grateful for her insights and her commitment to the stewardship, protection, and care of our watersheds for the health and enjoyments of future generations. Raised on a dairy farm in Northern Illinois, Joy learned all about sustainable farming practices. Her family raised their own livestock and vegetables to feed themselves throughout the year. Growing up on the fam meant hard work, lots of close family time, and never being bored. Respect for the land and water was evident in how they lived each day. After graduating from college with a degree in Accountancy, Joy headed to the big city where she soon realized her heart was still on the farm. She settled for working in a Chicago suburb until she and her husband purchased land near Viroqua where they farmed on weekends until deciding to move here permanently. They put their woodlands in the managed forest program and they worked to prevent creation of a “coal ash dump site” that threatened the area’s water quality. Since moving to Viroqua, Joy has established her own certified public accounting practice. She enjoys working with people to take care of the financial side of conservation. Water quality, sustainable forestry, family farming, and resource conservation are all important to Joy. Sara and her spouse, Mathew Urch, have made rural Vernon County their home since 2001. The first of their two sons was born just a month after they moved to their ridge-top farm. A couple of years later, they seeded a small grassfed beef cattle herd which they tended for nearly a decade. Sara had earned her B.A. at Carleton College, where she completed her comprehensive paper on the developing concept of sustainable agriculture. She went on to become a registered nurse and earn her master’s degree in Occupational Health Nursing Administration with an emphasis on farmworker health from the University of California at San Francisco. Sara has worked in community and public health nursing since 1996. She joined VSN in 2007. She was a founder of our Food & Farm Initiative and she served on its steering committee for five years. For two of those years she also served on the VSN Board. We were thrilled when she agreed to come back and serve another term on our Board, beginning in 2015. Winston is a lawyer with a lifelong interest in nature and conservation. He became acquainted with our organization while completing the UW Extension’s Master Naturalist course led by Valley Stewardship Network and the Kickapoo Valley Reserve in 2015, and found it to be a good fit for his interests and goals. Winston grew up in California and Ohio. He attended the University of Wisconsin-Madison (BA 1972, JD 1975). He dedicated the majority of his career to work for Godfrey & Kahn, S.C., one of Wisconsin’s largest law firms, where his practice focused on helping individuals and businesses with complex litigation, including environmental and professional liability concerns. In addition to other service and professional recognitions, Winston received awards for pro-bono legal work from The Brown County Izaak Walton League, The Nature Conservancy, and Wisconsin Trout Unlimited. He was legal counsel to Wisconsin Trout Unlimited for many years. Winston and his wife Cheryl moved to Vernon County at the end of 2014. Fly fishing initially attracted them to Southwest Wisconsin, and over the years they came to love the area and its people. Winston’s daughter, Sonja Loomis, is a historian residing in Winston Salem, North Carolina with her husband Greg. Cheryl and Winston spend as much time as possible fishing, hiking, and reading. Joe is a 5th generation resident of Vernon County. Raised on a small farm near Readstown, he developed a strong interest in agriculture, horticulture and biology, which led to a degree from the University of Minnesota in Animal and Plant Science with a specialization in entomology and plant pathology. After working as an Extension Educator in Minnesota, he moved back to the Kickapoo Valley in 1999. He quickly found employment with the rapidly growing CROPP Cooperative as their Farmer Outreach Manager where he worked for over ten years. He has also worked as an Organic Specialist for the Midwest Organic & Sustainable Education Service (MOSES), as an organic farm inspector, and currently as the Outreach Manager for MOSA Certified Organic, which certifies over 2000 organic farms and food processors in 20 states. Joe is an avid musician, a volunteer DJ at WDRT, an aquarium enthusiast, and enjoys gardening, beekeeping, and home brewing. Debra Behrens is the newest member of the Valley Stewardship Network Board of Directors. We first met her when she approached us last year for stewardship assistance as a new land owner in the area. 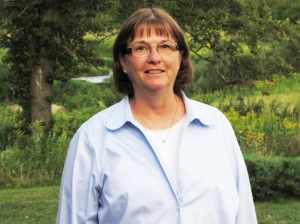 Conservation work in the Driftless is a new interest for Debra, but she joins us with almost 20 years of experience helping nonprofits grow awareness and community support. She is the Chief Advancement Officer at Aeon, an affordable housing nonprofit in the Twin Cities that develops, preserves and manages apartment homes for low-income residents. Her volunteer experiences include service on the board for the Association of Fundraising Professionals Minnesota Chapter, serving as Vice-Chair for the neighborhood board representing her community in Minneapolis, and being elected to serve as Commissioner for the 6th district neighborhoods on the City of Minneapolis Neighborhood and Community Engagement Commission. Debra, her husband Ben, and their cat, Dante, and dog, Jackson, are loving their new home in the Driftless. Stop by and tell us your conservation story! We work out of a friendly storefront in downtown Viroqua where we share offices with two like-minded organizations. Our office hours are from 10am-1pm on Tuesdays, Wednesdays, and Thursdays.